Kilns or heating ovens used to raise the burn limestone at over 825 degrees centigrade to make the lime used in industry and building construction. 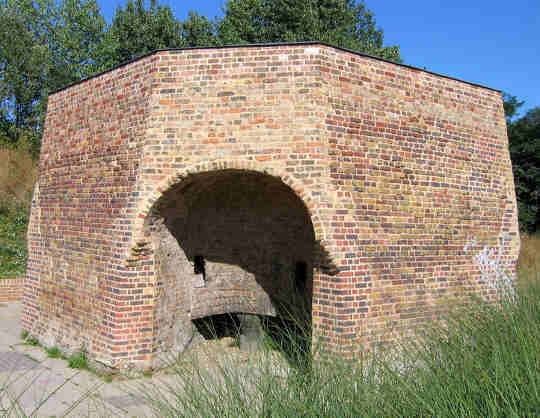 Preserved lime kiln at Burgess Park, Southwark, London. The technique was to load up the kiln with alternating layers of wood (later coal) and crushed limestone and then fire the kiln which would burn for seven or eight days. At the end of the firing the kiln was emptied and the ash residue was seived off. The quicklime was then placed in pits which were flooded to produce slaked lime or lime putty. Reconconstructed kilns and slaking shed at the Zuider Zee Museum at Enkhuizen in Holland. 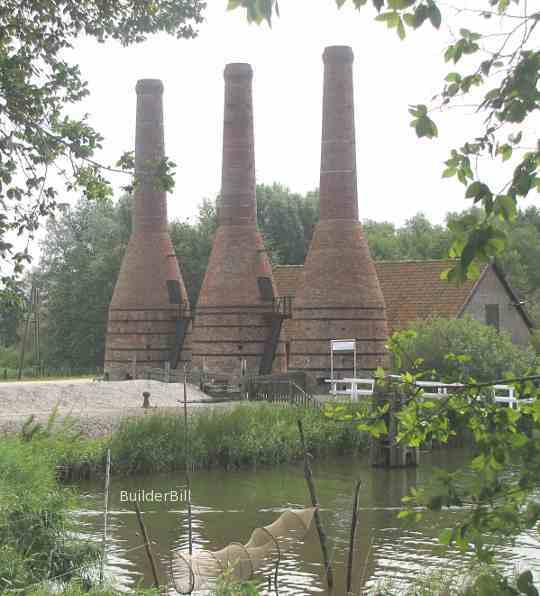 These kilns were in operation in the town of Akersloot in the Netherlands until the mid twentieth century when the use of cement based products made lime based mortar just about redundant. They were rebuilt at the Zuider Zee open air museum in 1978. They are of a more efficient design than the one in the top photo, working in a similar way to that of a blast furnace. The fuel originally was peat and then later coal and this was laid in the bottom of the kiln. When the fire was set seashells were then introduced into the chamber. After the firing process the lime would be tranferred to the shed and watered down to produce slaked lime. 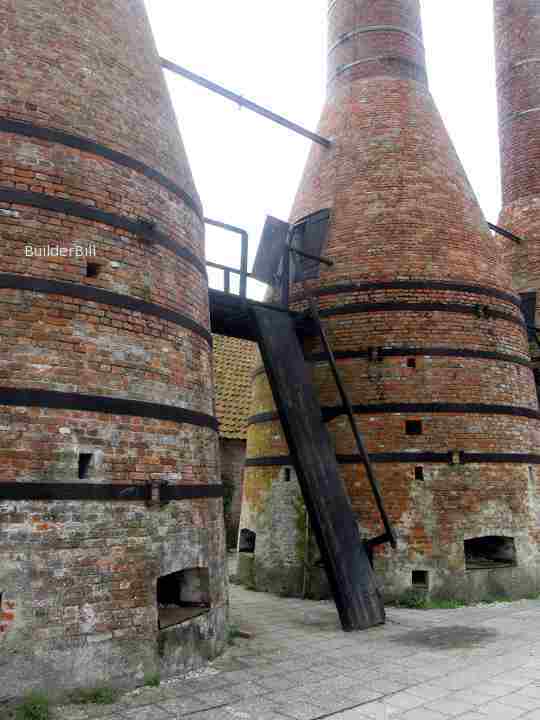 Detail of the kilns in the previous photo.